So the countdown to Christmas has begun… our girls started opening their Xmas calendars, the tree is up, all gifts (well, almost all) wrapped but if you are still looking for ideas our earlier round-up with gift guide can be found here. Below you can find couple more ideas for the festive season and last minute gifts as well, enjoy! But first things first, if you are missing Christmas tree ornaments pop into your local HomeSense – they have large variety of decorations in all possible styles. Pictured above baubles are only top of the mountain we got on our last visit: diamond shaped glass ornaments (£3.99 per 6), owls (£3.99 per 6), sledge decorations (£2.99 / pack of 2), hand-painted red & white baubles in wooden box (£7.99 per 4), box of small red, white, green small baubles (£4.99 per 25). Also once you are in the store and feel like doing something good, you can take part in ‘Hang a Bauble’ campaign where customers are asked to donate £1 for a Christmas bauble, on which they can write a festive message of their happiest childhood Christmas memory, before hanging it on a special HomeSense Christmas tree. Tea Taster Selection (£13.99) from independent and ethical tea company at We Are Tea that come with 3 boxes including green teas (Moroccan Mint and Gunpowder Supreme), black teas (English Breakfast and Earl Grey Supreme) and infused teas (Chamomile Flowers and Super Berry). Each box contain 10 bags of whole-leaf tea packed wrapped in separate sachets. The tea bags itself are not made of paper but silky fabric and look quite classy. My personal favourite was Moroccan Mint so far, completely different from other bagged mint teas, tasting more like fresh than dried leaves. And the second one are the Yogiyo Korean Kitchen sauces (RRP £2.20 per 300 g bottle) because they are different. Before Yogiyo I have never tried any Korean sauce and it was great experience therefore I think it would make a great stocking filler for foodies. I also adore design of the packaging, it is very nice. The range include Gochu Jang Cooking Sauce for stir fries, stews and can be used as a marinade, Gochu Jang Dipping Sauce perfect for dipping that are made with gochu jang (fermented chilli paste) and Galbi Sauce – classic Korean marinade with sweet, umami flavour for beef, pork or chicken to be later grilled or stir-fried. I really like this little Echo Bot voice messenger (£13.99)… It is cute and fun! It can record 10 second message which will be replayed as soon as it will sense any movement. Great to record reminders or scare away night cookie thieves. Mixed-Media Girls With Suzi Blu from Quarry (£15.49) is very inspiring and include all the info you need to get you started with mixed-media techniques, from description of the materials to face drawing tutorials. Pom-Pom Puppies by April Choroba from Klutz (£11.04) is a lovely book, it explains perfectly how to wrap the wool on the pom-pom maker to achieve desired color pattern for specific breeds of dogs… we find it very useful. Bananagrams Wild Tiles (£16.99) – fun game but also quite useful educational tool. If you are not familiar with this game, Bananagrams are a bit like Scrabbles but more relaxed… there is no board, only pouch with letter tiles. The monkey tiles can be used as wild cards when you don’t have letter you need. Our 5 year old girl who loves flying paper planes absolutely adore this 100 Paper Planes to Fold and Fly from Usborne (£5.99). It contains instruction on how to fold 4 different types of planes and 100 coloured papers to make them with, 25 of each type of plane: dart, bug, glider and jet. Hama Beads (£13.95 per 13,000 pieces) are very versatile, can be used with peg board for ironing or to make jewelry (like form any other beads). We are always running out of brightly coloured beads so this pastel mix set is just perfect for my girls. When my younger one was a bit smaller she always wanted to have doctor set but for some reason we could not find any nice one that would be suitable for her age and eventually she grew bigger and I put together for her DIY doctor set with real gadgets. So when I saw this Mobile Med Kit by Leap Frog (£8.99) with siren sound I just had to get it. Luckily we have a baby in the family that is just right age for this and she will be getting it from Santa. 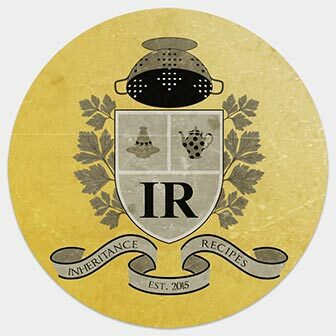 Don’t forget to check out our Inheritance Recipes challenge round-up to find out who won it and visit Pebble Soup for December IR challenge. The next Tried & Tested will be published in the first days of January and will include some ideas for healthier life in a New Year, stay tuned. DISCLOSURE: This post contains some affiliated links. We Are Tea taster selection and Yogiyo Korean Kitchen sauces have been sent to us for review purposes. HomeSense goodies were purchased using their gift card. We have received Bananagrams as a part of Amazon Vine™ Programme and you can find part of this reviews on Amazon website as well. Mobile Med Kit, Hama beads, Echo Bot and all of the books have been purchased by us. We were not financially compensated for this post. All opinions expressed here are our own and we retained full editorial control. What a great selection! I need to get my kids the Bananagrams! Another great round up! I love seeing what you’ve tried out over the last month. I’m not hugely familiar with Korean food so those sauces would be ideal as an introduction to the cuisine for someone like me. I think my new years resolution this year might be to explore Korean food so these will be added to my Christmas list! Gosh, I really need to start my shopping, and buy a Christmas tree. Some great ideas in here for gifts when I get super stuck – thanks!